Cody Rhodes, son of the American Dream Dusty Rhodes, was unhappy with his position in WWE and requested his release form the company after working with it for 10 long years over the weekend. The news went viral as it came right on the heels of WWE releasing few of the fan-favorite wrestlers. 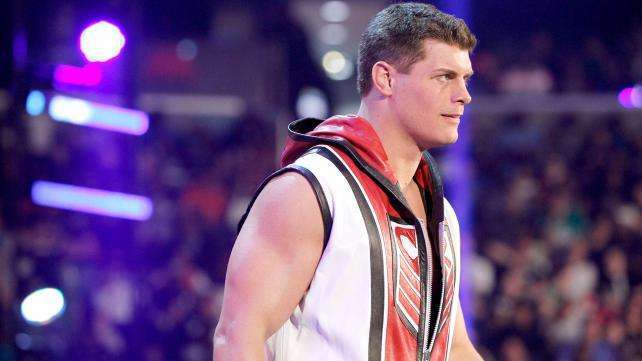 Like Wade Barrett, Cody Rhodes decided to walk away from the company rather than to remain with it. WWE has grudgingly given the Superstar his release, though his contract has not been dissolved. Cody Rhodes issued a statement regarding his release and the reason for his request. In his statement Rhodes mentioned that his pleas with WWE Creative to give him a better opportunity has met with deaf ears and implied that it was the reason for his request. In the past six months, I had pleaded with WWE Creative and both of my bosses to let me roll the dice and once again be Cody Rhodes. I had pitched to every writer on staff like a door-to-door salesman on “how” & “why” & “when”…and believe me, there are many of those who sought to help me (Brian James, Nick, Faz, J Russo, Dave K, JBL & Cole for letting me go wild on their YouTube show and a few others I’m sure), but for all that both “head writers” of RAW & Smackdown (one pretending to be Brian Gewirtz and the other too busy hitting on developmental divas) continued to not return my pitches or emails, and in face-to-face encounters tried to big league me by pretending to be on their clearly powered off laptops…barely willing to listen to an idea I considered beneficial to more than one talent. What’s that expression? Don’t take no for an answer….what do you do when you don’t get an answer at all? So there I was….having done everything I could possibly do for ten years to make the most out of both large opportunities and even the half-cocked ones like “paint up like your brother”. Chicken sh*t into chicken salad became my speciality; and with those worthy opportunities afforded me…I can only hope I fully executed. It is to be noted that Rhodes started teasing the change back to Cody Rhodes from the Stardust gimmick right around the corner of WrestleMania. But rumors state that Vince McMahon pulled the plug on the idea. From Cody’s statement it is clear that he was unhappy with his position in the company and was also ignored by WWE Creative on more than one occasion. WWE will feel Cody’s departure heavily as there are very few experienced veterans present in the lower mid-card position on the roster right now. You can read the full statement of Cody Rhodes below.